Cheryl says, “I made my first quilt out of Marimekko fabric as an impoverished chemistry graduate student at M.I.T. It took another 17 years for me to make my second one – after a corporate career and some child rearing. When we moved to Pennsylvania, my sons were both in school and I started taking some basic quilting classes to occupy my time. 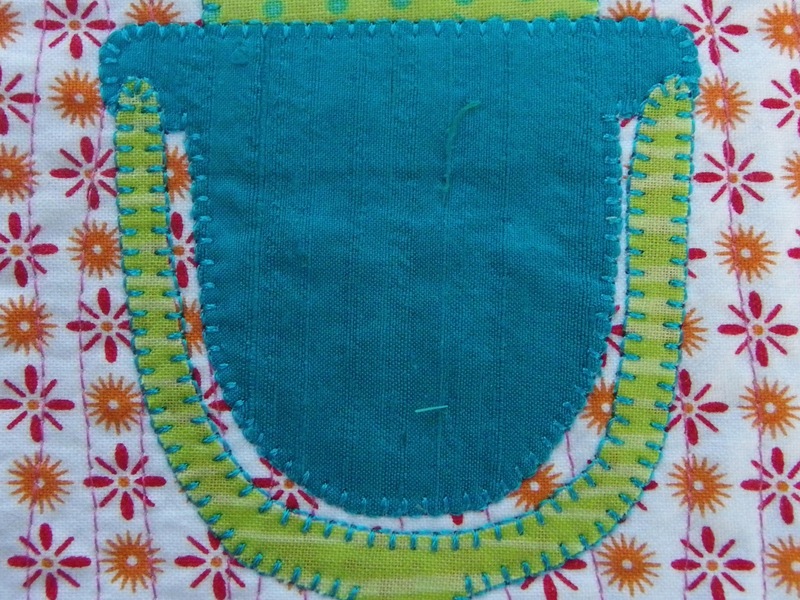 It didn’t take long before I fell in love with quilting and started to design my own quilts. I then started teaching at a local quilt shop. 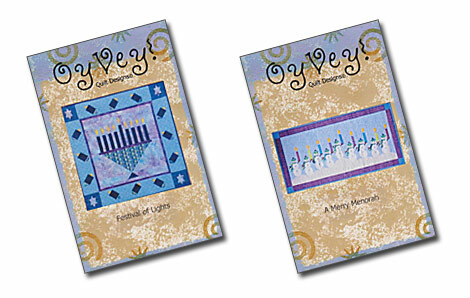 At the request of my students, I developed my own line of Judaic quilt patterns. 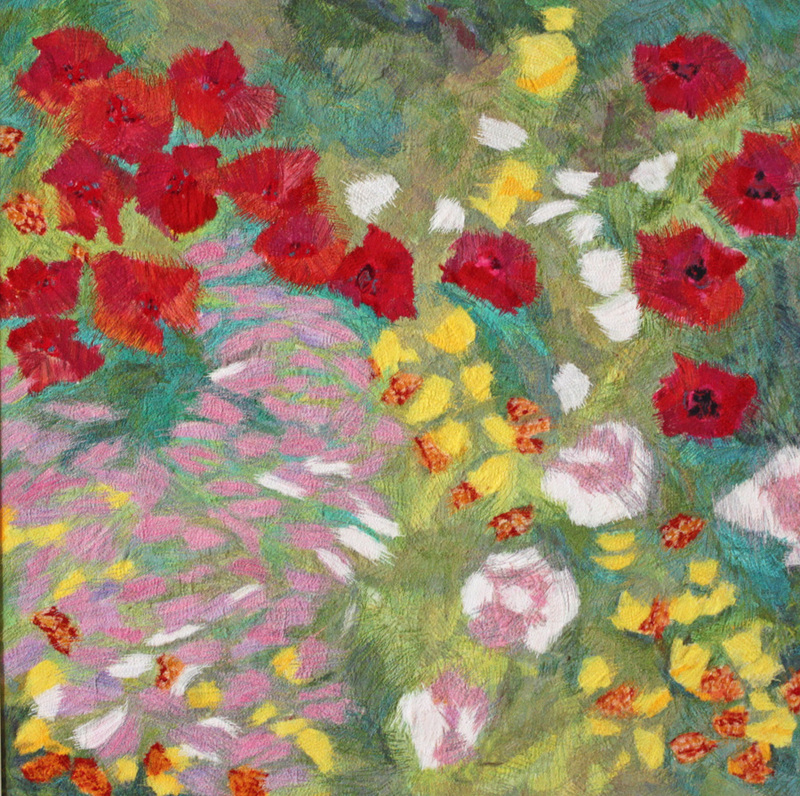 Fascinated by the color and texture of fabric, I discovered that I could create art and folk art without knowing how to paint with a brush. The challenge became how to turn my ideas into a quilt. I find that I “build” my quilts one section at a time. Putting together the pieces of the puzzle is both challenging and energizing. 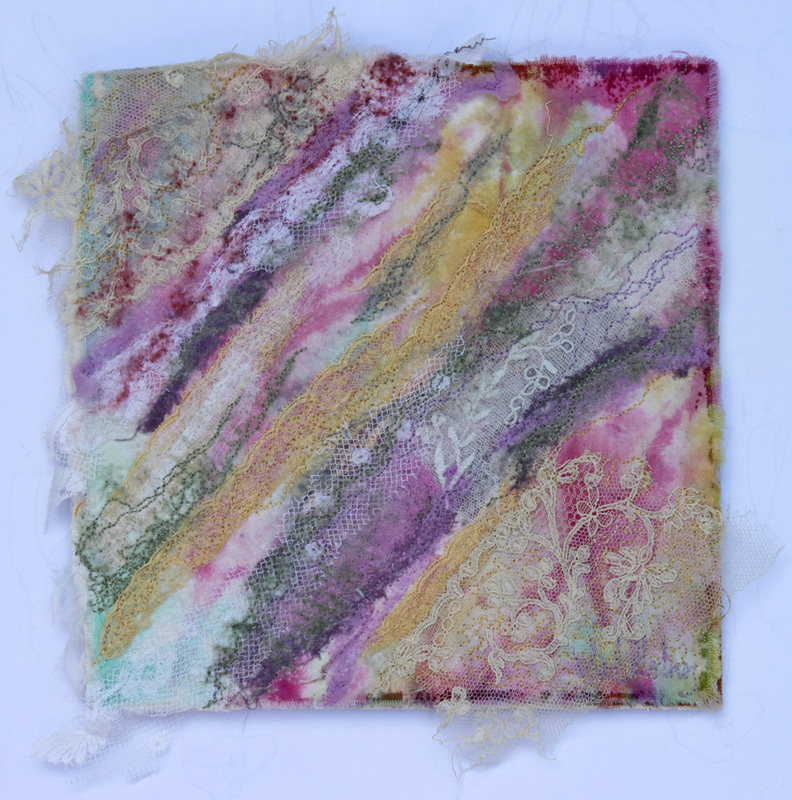 This process sometimes necessitates the development of a new technique or use of a non-traditional fabric. 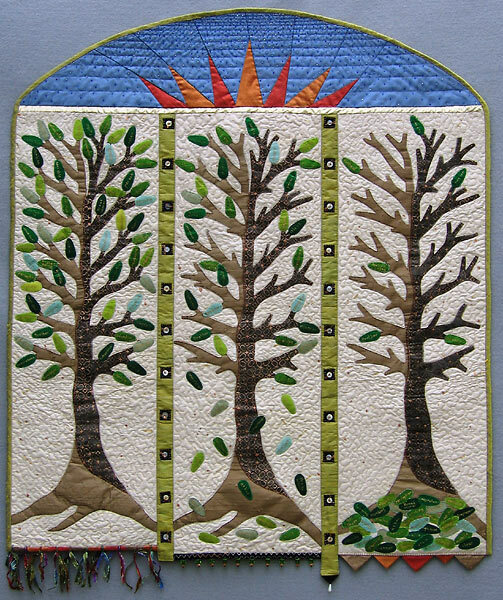 My inspiration for my quilts comes from the emotions I feel for my family as well as my love of nature and cycling. I have many creative moments while riding my bicycle through the scenic byways of our country. YOU GUYS!! Stop the presses!! 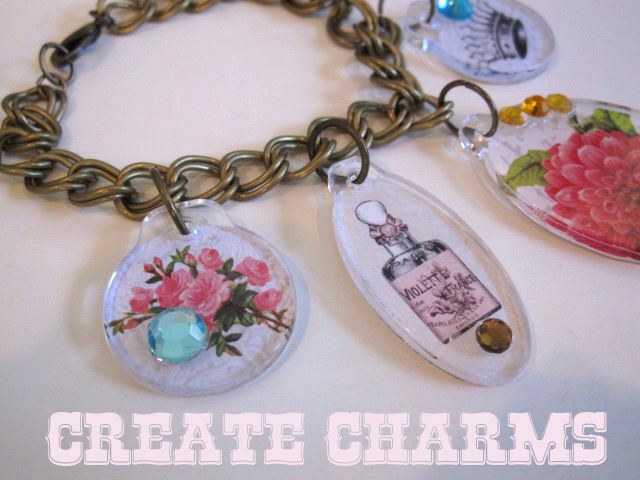 Look what sweet Cheryl made for me! 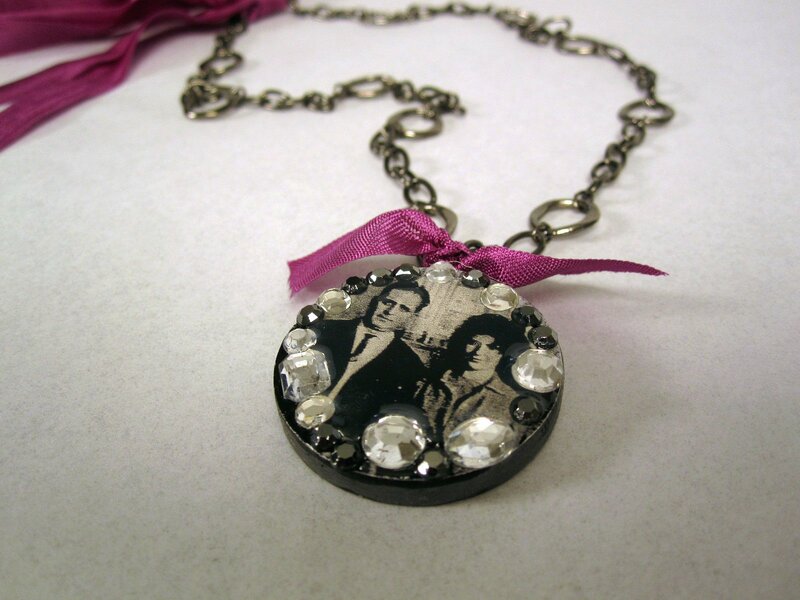 I’m beyond honored and thrilled by this one-of-a-kind piece. Now, feast your eyes on more of Cheryl’s fab embellished artworks! Can’t wait to talk about her latest must-have book! CLICK HERE for Cheryl’s website! Cheryl sells her works HERE! 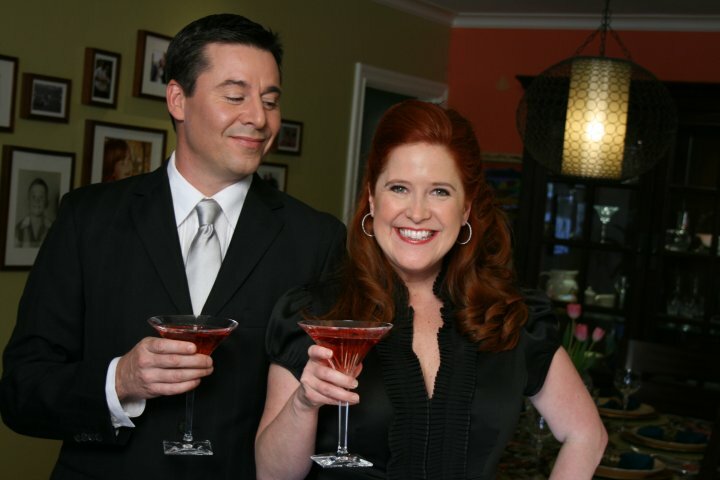 Cathie and her biz-partner Steve Piacenza are Emmy-nominated television hosts, book authors, lifestyle experts, inventors and handcraft designers. 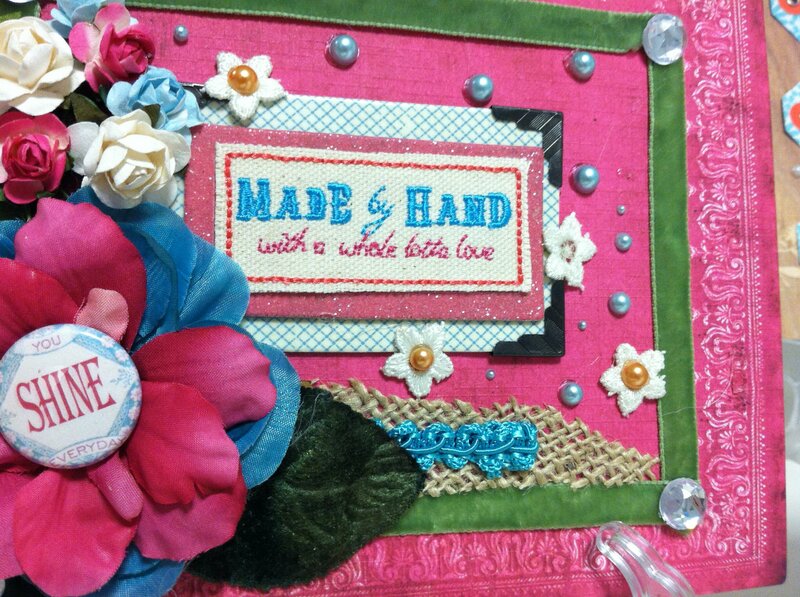 They created, produced and co-hosted more than 100 episodes of the hit crafting show Creative Juice and the mini-series Witch Crafts for HGTV and DIY. Their shows can be seen in the United States, Australia, South Africa, The Philippines and on the Armed Forces Network. They own and operate, Beyond B Entertainment, a full service television production company and have just completed a pilot-presentation for VH1. They were nominated for two Daytime Emmys. (With the category company of Martha Stewart, Emeril Lagasse and Paula Deen.) Their nominations were for Outstanding Lifestyle Host and Outstanding Lifestyle Program. 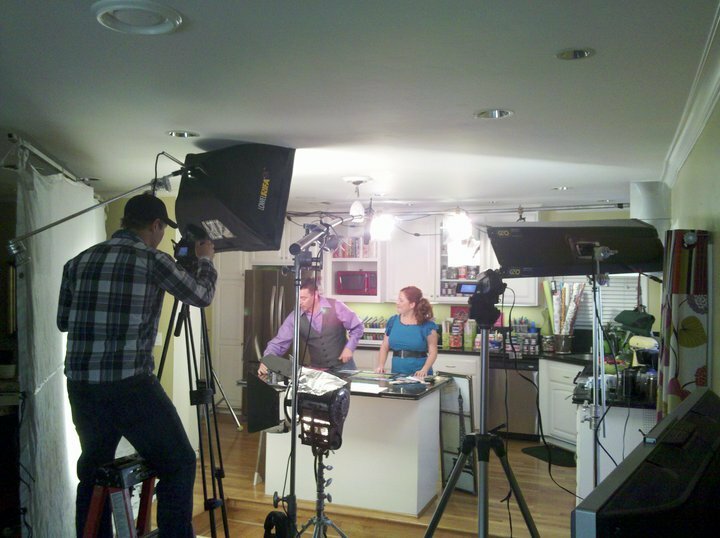 Cathie and Steve have also appeared on numerous network shows and specials for NBC, ABC, Discovery Channel, HGTV, DIY and Food Network. Programs such as Rachael Ray, IVillage Live, View From the Bay and the Florence Henderson Show have featured their creative ideas. 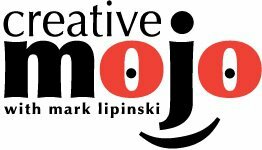 They co-authored, Creative Juice – 45 Re-Crafting Projects. Cathie authored, 101 Tees, 101 Snappy Fashion and Bow Wow WOW! All books are published by Lark Books. They also write Home Hobbies, a monthly syndicated newspaper column for United Features and they contributes to national shelter publications such as Real Simple, Better Homes and Gardens, Redbook, Womens World, Life Magazine and many others. Cathie and Steve are National Spokesperson for Plaid Enterprises, one of the largest manufactures of art and craft products in the United States. 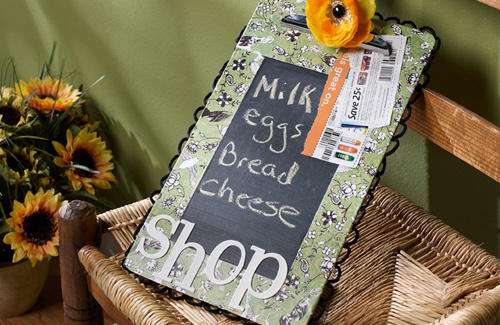 They appear at CHA and on HSN and QVC showcasing Plaid’s newest products. 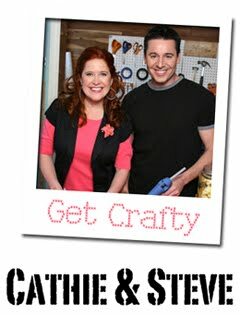 Cathie and Steve’s invention, Hot Glue Glue Helpers, a line of tools for working with hot glue just released in the USA on Home Shopping Network where they sold out in 7 minutes. The tools were nominated for the Innovations Award at CHA. They are available online and at retail stores in the USA and internationally. Cathie made her debut as one of the faces for Dove Beauty: Real Women Real Beauty. She was chosen to appear along with other women in America for the new documentary style campaign. Look for Cathie’s campaign on Oprah.com. 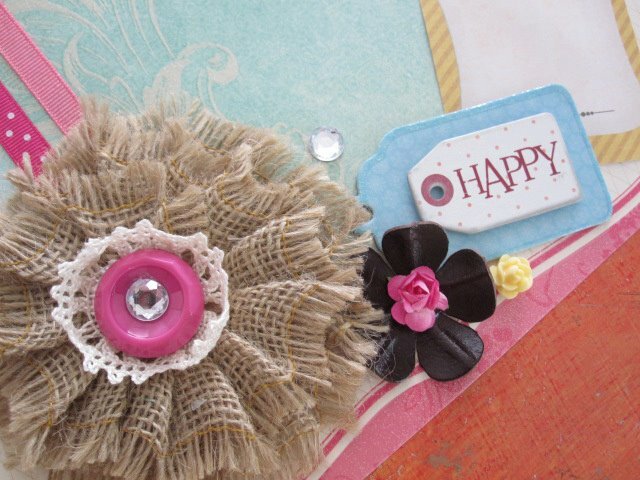 Cathie’s designs make a home happier! 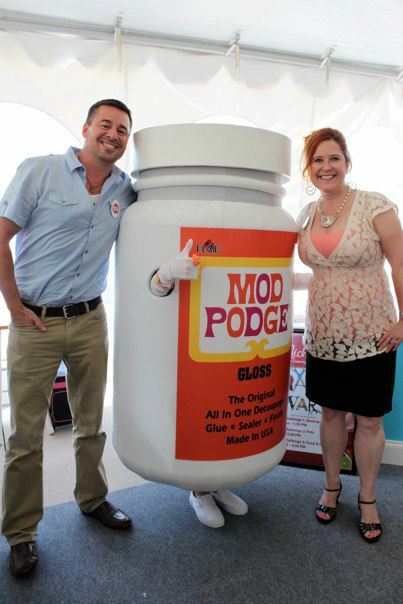 Cathie loves her some Podge! CLICK HERE for Cathie and Steve’s website! She blogs HERE and HERE! 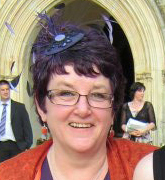 Cathie’s on FACEBOOK and TWITTER! 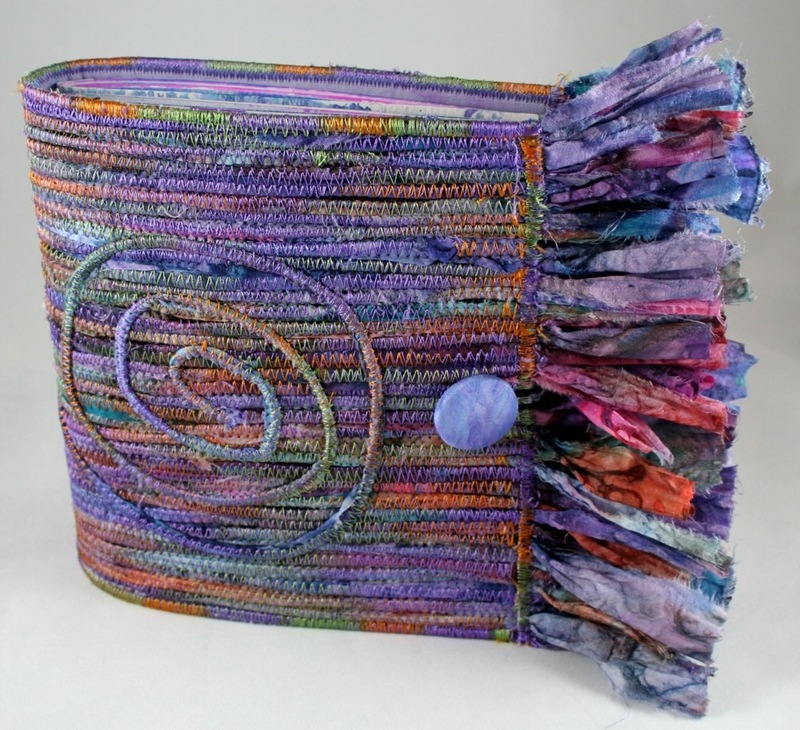 Val Holmes did her foundation course at Gloscat in the late 1970’s, followed by a degree in Embroidery at Manchester Polytechnic (now Manchester Metropolitan University). Where she attained a 2:1 BA honours degree with mentions for her thesis. A further year was spent in the Fine Art department at Coventry Polytechnic. 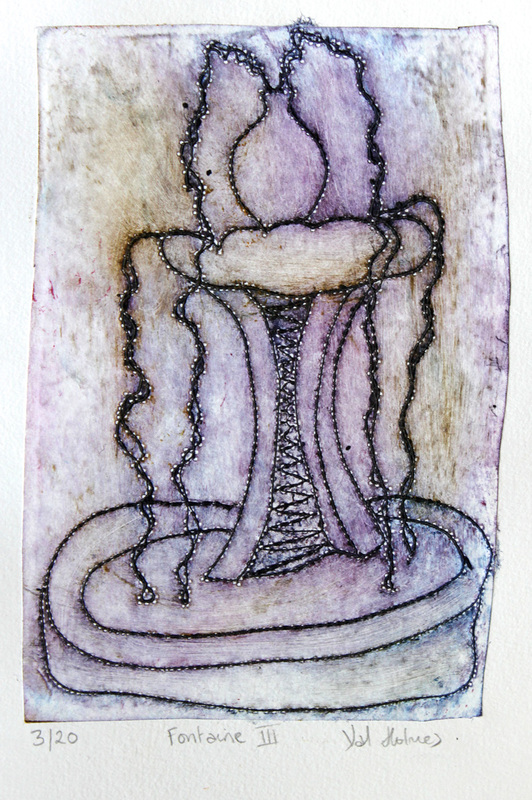 This was followed by building up a career as a freelance artist and embroidery teacher, whilst teaching part time in an art college. 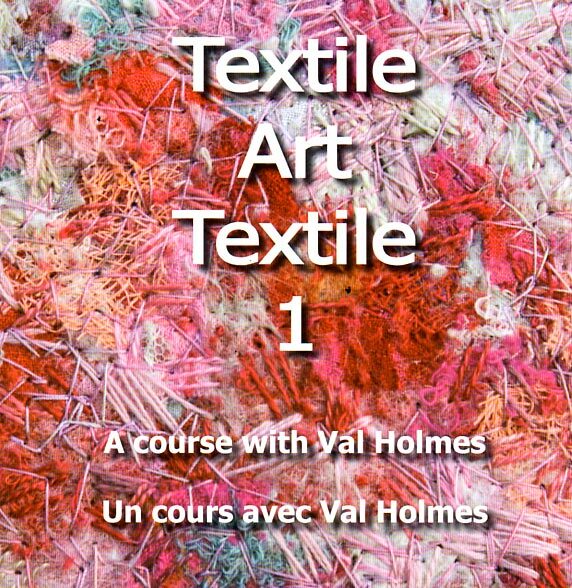 The increasing demand for her studio based courses persuaded Val to create a venue where people could study and stay in the same place, so in 1991 La Boulinerie was created out of an old farm, and was developed into a comfortable environment with a relaxed atmosphere where students could really improve their design and embroidery techniques. She has a knowledge of art, embroidery and textile techniques and is keen to help students to be themselves and will bring out the best aspects in the students. 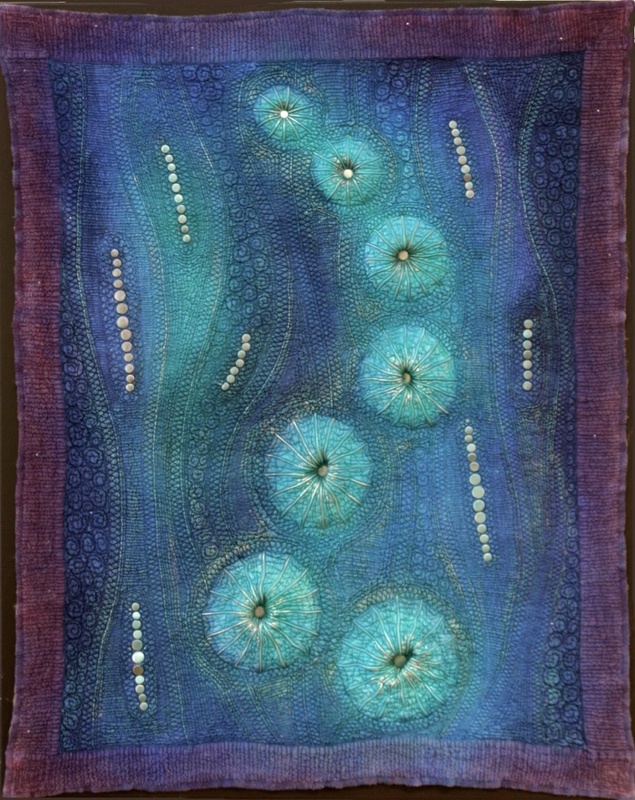 Her skill with machine embroidery, and in teaching it, is renowned. 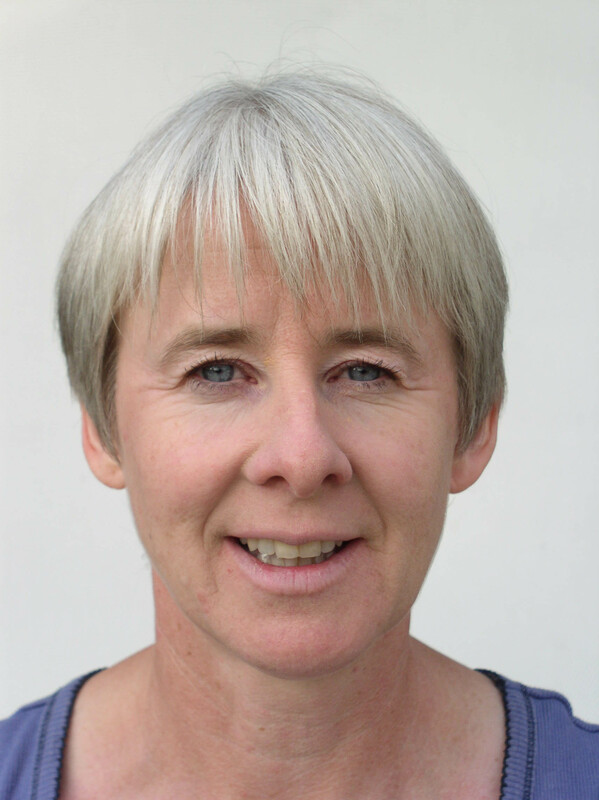 She can put any novice at ease and help the more advanced student with personal development. In 2005 Val and Claude moved to Luçon, to the Villa des Roses. As well as being able to offer two studio spaces and 8 ensuite bedrooms for the courses, the Galerie 43 within the Art Deco Maison Bourgeoise is a permanent exhibition space for their work. Since moving to France Val’s own work has continued to develop and is largely figurative, or abstract figurative and based mainly on her pastels and water colours. 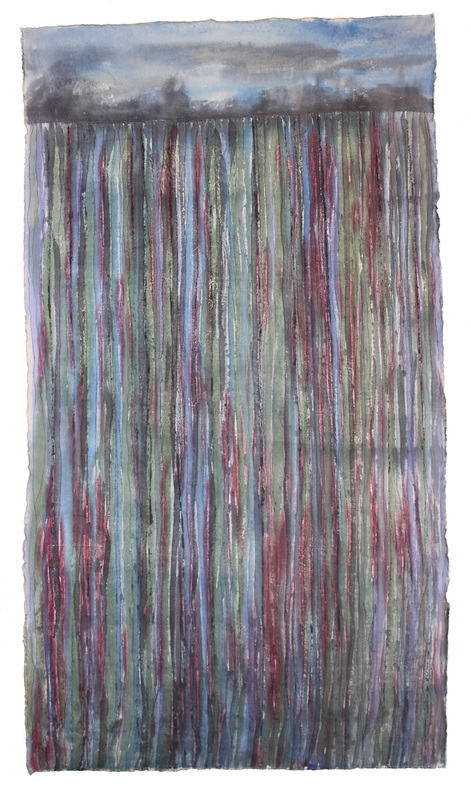 Her experimentation with different paint and surface techniques often lead to collections of more intimate work. She explains the two sides of her work as being “carnets de voyage”. One is external and concerns the world outside, one is internal and concerns the world on the inside. 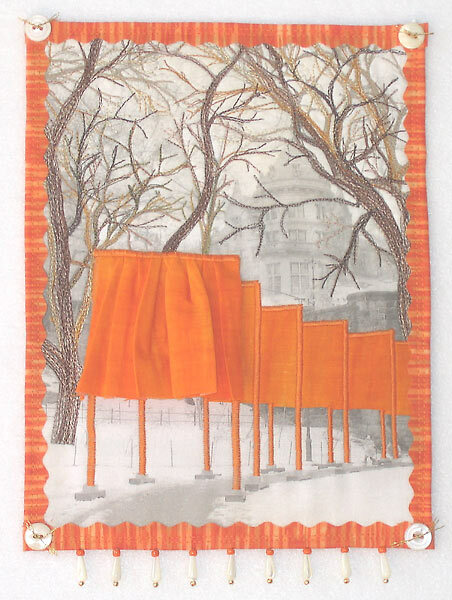 The enthralling popularity of collagraphy is taking textile artists to new heights. 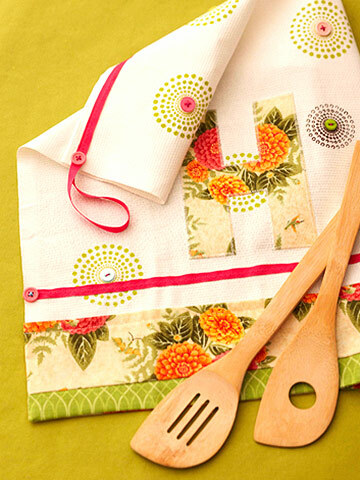 Learn this popular new technique from the best when you explore collagraphy with embroidery teacher, Val Holmes. 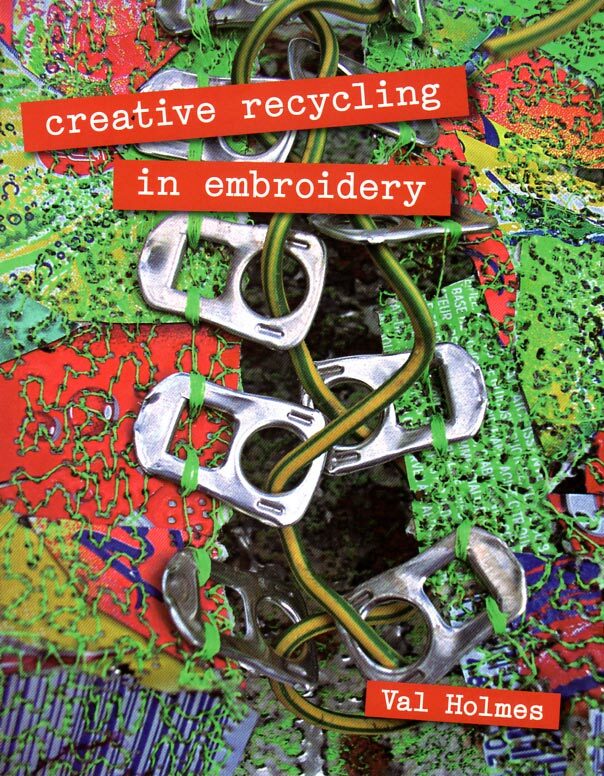 In her new book, Print with Collage and Stitch, Holmes shares everything you need to know about the exciting effects of combining almost endless permutations of collage, stitch, and print and how to incorporate these effects into your own stitched-textile work. 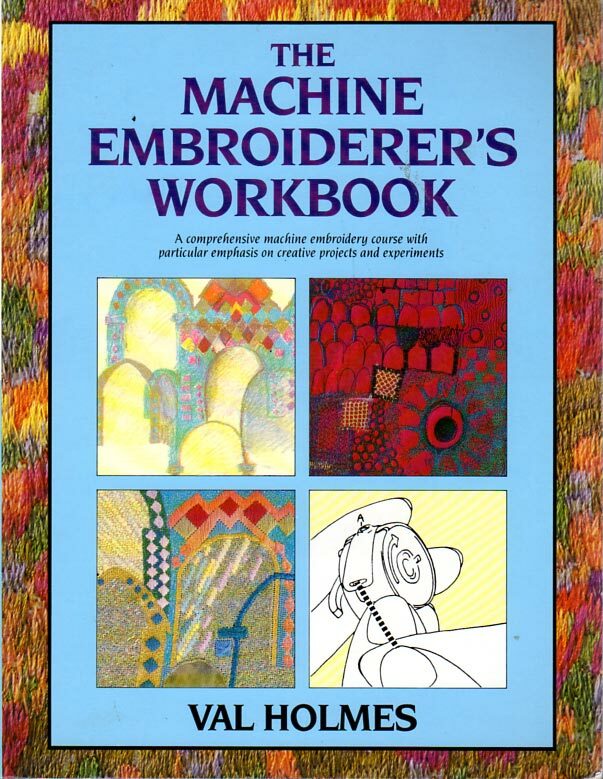 Included is invaluable and beautifully illustrated information on embroidered collagraphy plate-making, choosing the right printing surface, combining paper and fabric, embroidering onto prints, and how to work in a series. 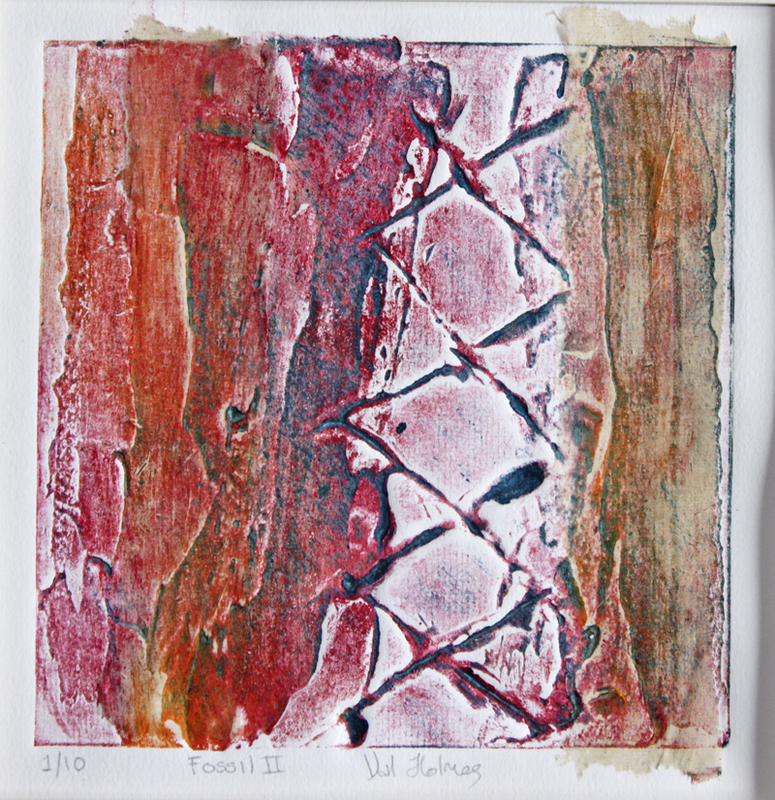 In addition to innovative collagraphy techniques, you’ll discover an in-depth look into monoprinting and incorporating common textile art techniques into serial monoprints. 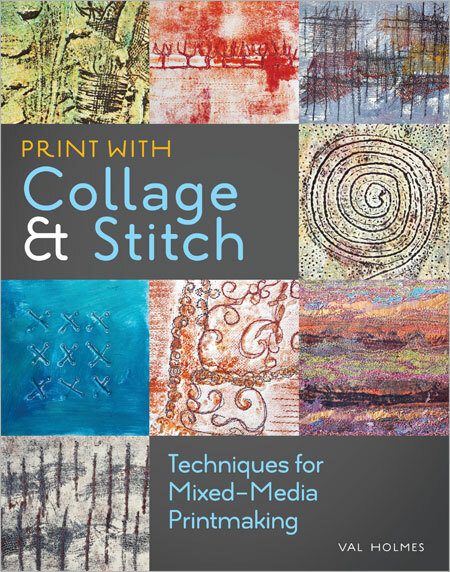 In Print with Collage and Stitch, you’ll explore a simple and most fundamental mixed-media technique, popular for producing highly-sophisticated and complex-looking surface effects. CLICK HERE for Val’s website! More about her new book HERE! 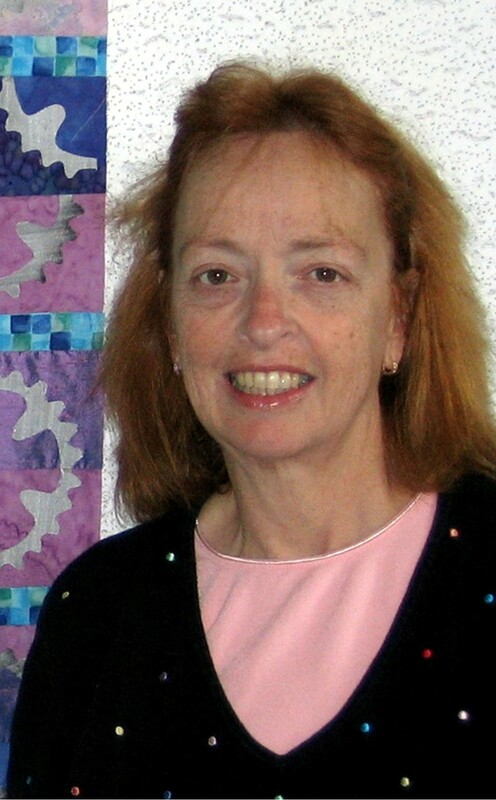 C. June Barnes is an award-winning quilt artist. She has exhibited for several years and also teaches across the UK. 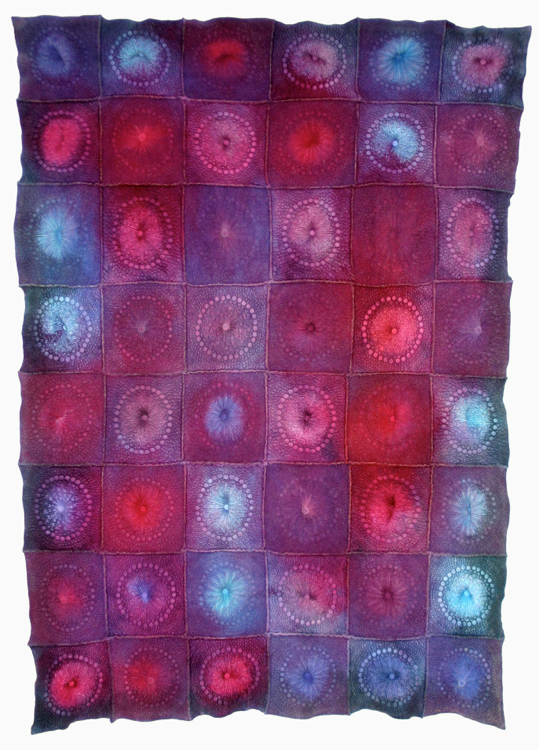 She is the author of Stitching to Dye in Quilt Art. She lives in East Sussex, England. 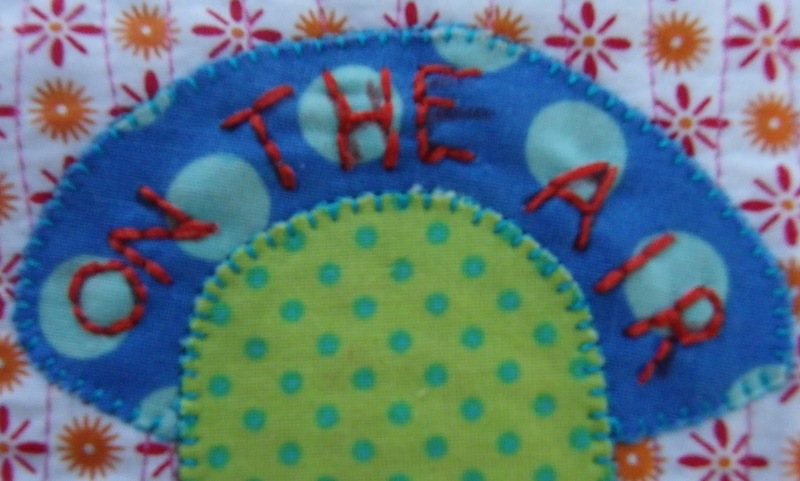 June literally takes fiber art to a different plane! 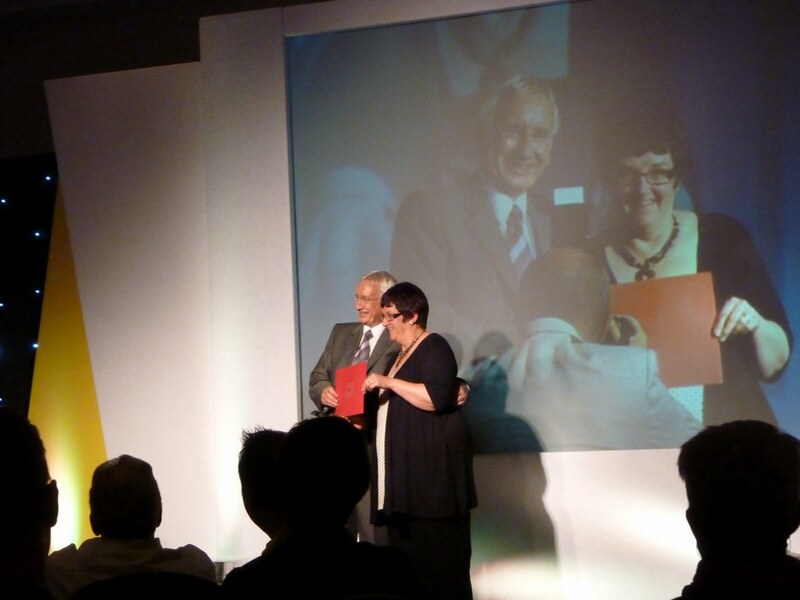 Here’s C. June winning the Contemporary Quilts Competition at The Festival Of Quilts 2010! And this is her phenomenal new book! 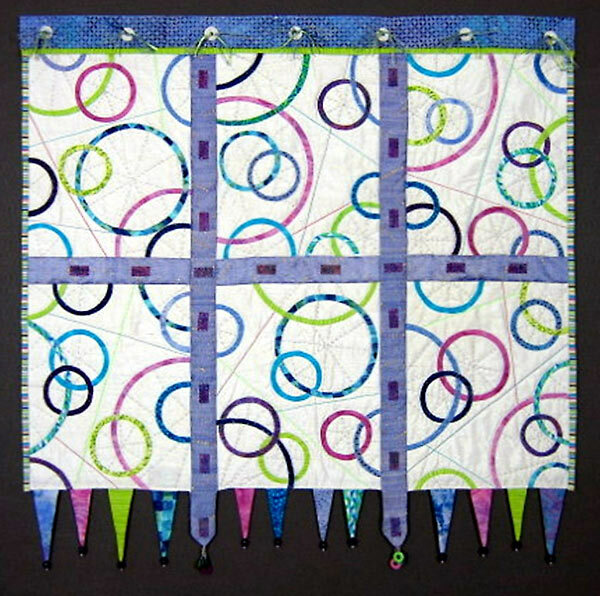 Exploring Dimensional Quilt Art takes quilters above and beyond the surface with innovative techniques for raising surfaces and creating three-dimensional fabric structures. 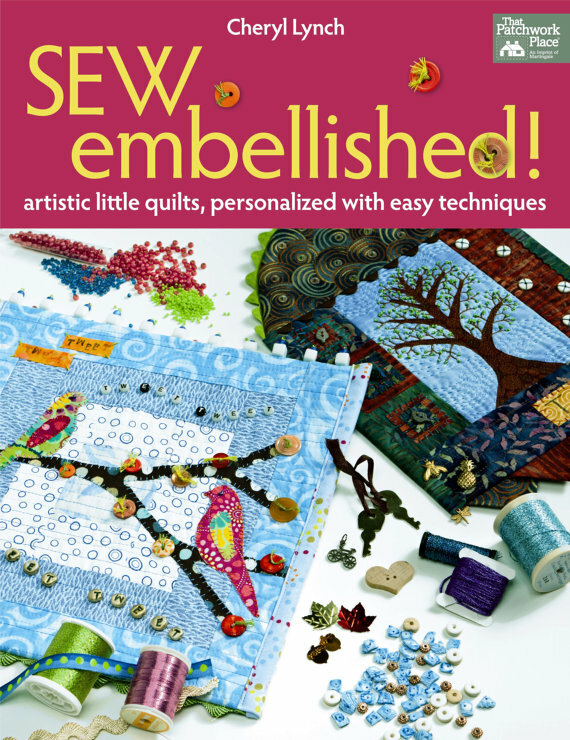 Discover how to incorporate these expressive effects into your quilting, from the simplest textured quilt to elaborate twisted and embellished structures, including vessels and hanging installations. 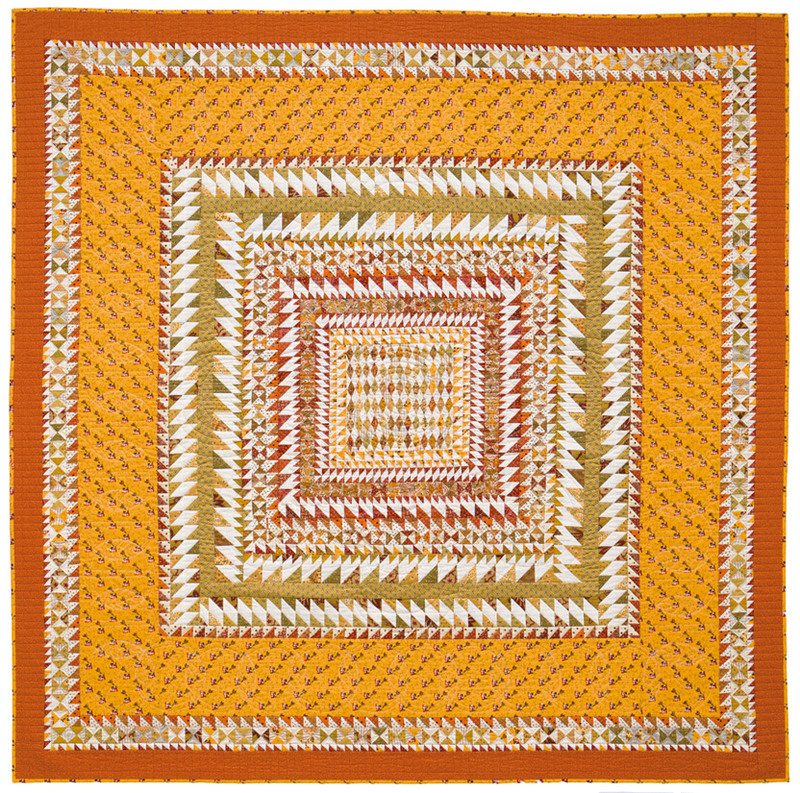 Popular quilt artist C. June Barnes explores various folding, gathering, pleating, stuffing, padding, shrinking, and layering techniques. 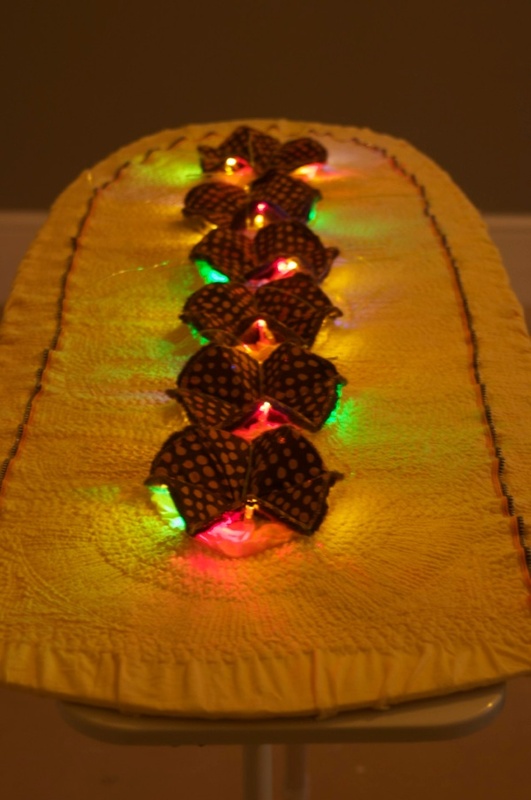 You’ll also achieve intriguing depths to your quilts when you learn how to manipulate the surface of the quilted plane by constructing objects through various means. Journey through this one-of-a-kind guide and learn how to create your own trendy effects while discovering the secrets of how these sometimes impossible-looking structures are created. Invaluable technical construction tips and a wealth of inspiration from Barnes and some of the world’s leading quilt artists offer you a complete exploration. 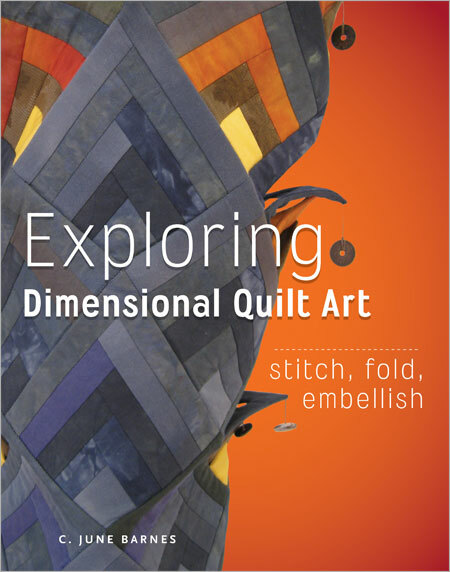 This book is the essential reference guide for a broad spectrum of quiltmakers. 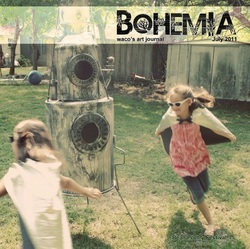 CLICK HERE for C. June’s website! C. June’s on TWITTER and GENI! 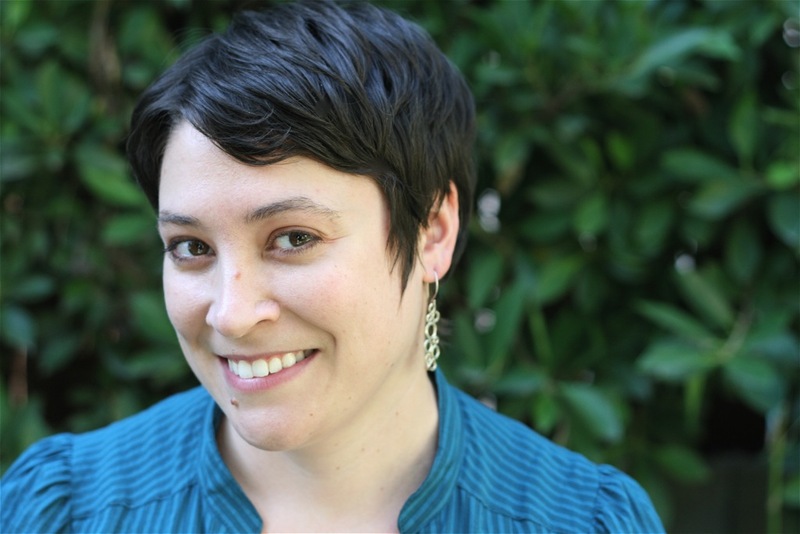 Alissa Haight Carlton lives in Los Angeles and is one of the founders and president of the Modern Quilt Guild. 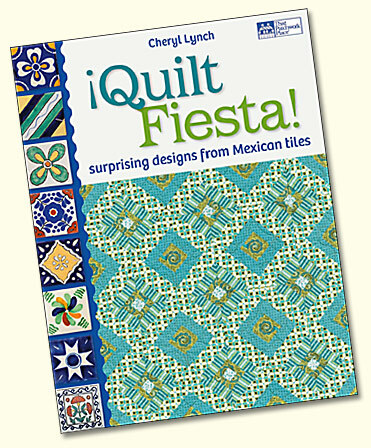 She has written two books, Modern Minimal: 20 Bold and Graphic Quilts, and Block Party: The Modern Quilting Bee, which she co-authored. 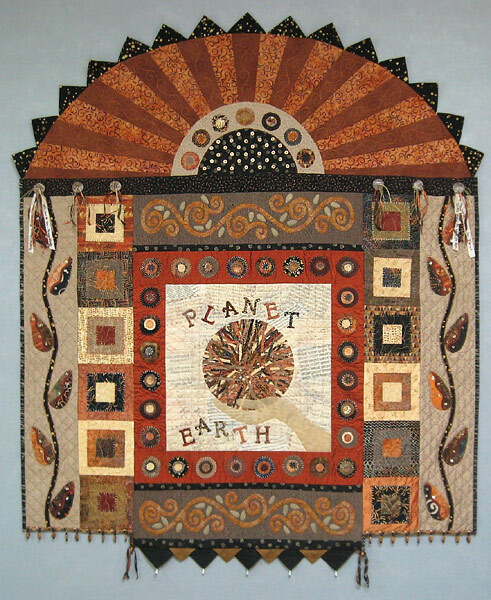 Her work has been featured in a variety of publications such as We Love Color, Stitch Magazine and Quilting Arts,Quilt Scene Magazine. When not quilting, Alissa casts reality shows, including many recent seasons of Project Runway. She blogs at handmadebyalissa.com. Alissa is telling us all about an historic event in modern quilt-dom! 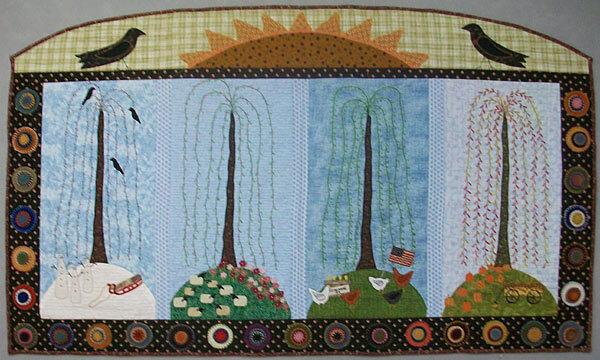 QuiltCon is the inaugural conference and show by and for The Modern Quilt Guild from February 21-24, 2013 in Austin, TX! 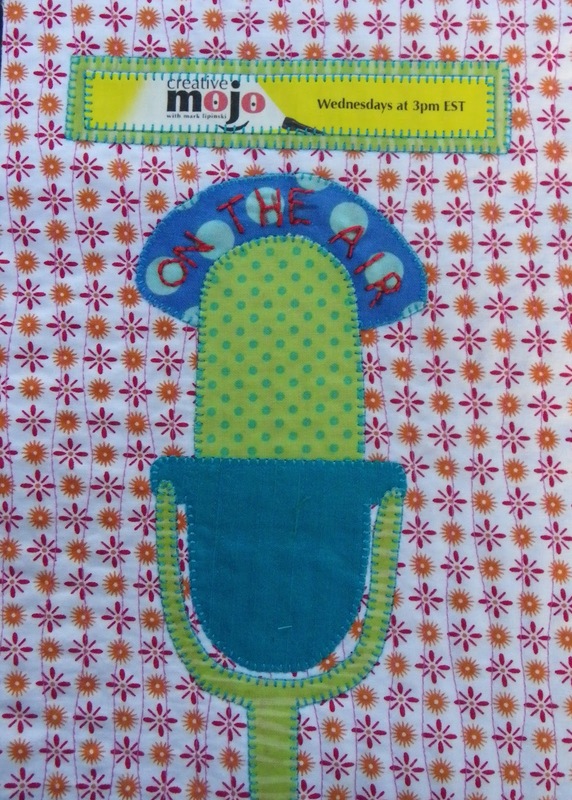 CLICK HERE for QuiltCon’s website! 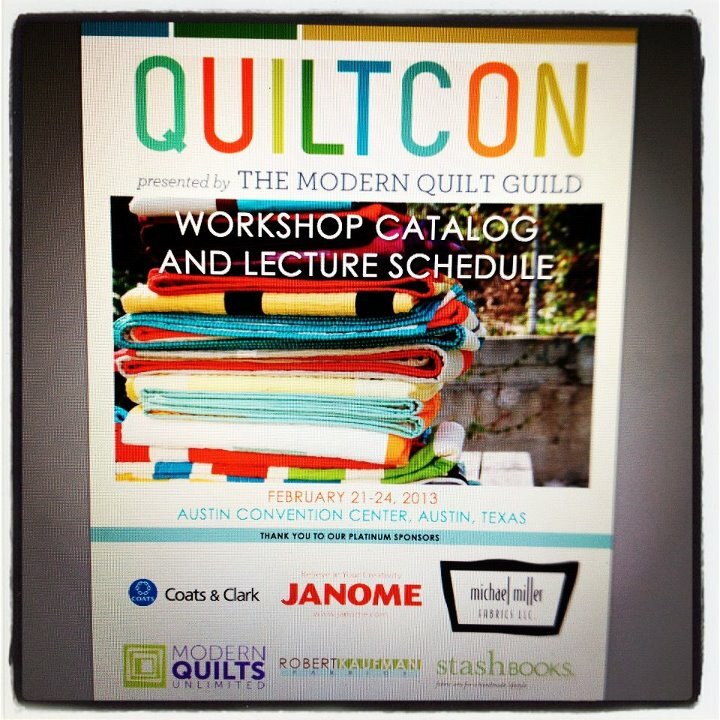 QuiltCon is on FACEBOOK & TWITTER! Check out Alissa’s work on FLICKR! 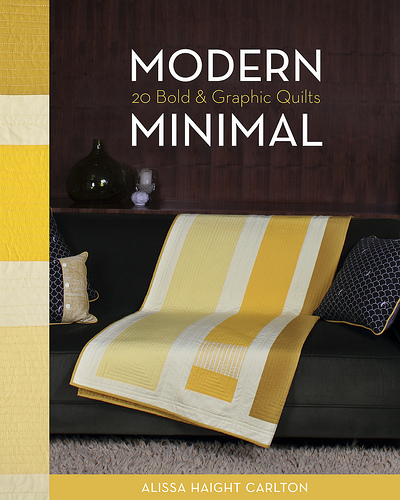 The Modern Quilt Guild is HERE! ← Your Wish is My Command!